Across town or across the country, we have the boxes and moving supplies you need. 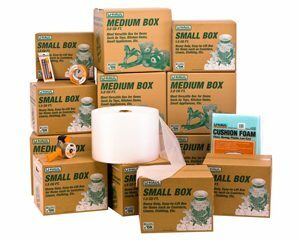 U-Haul box kits make moving easy, designed for the size of house or apartment the box kit includes all the boxes and packing materials you need. And with our boxes you can take as many as you think you’ll need and return the rest, only paying for the ones you use.